Jenniffer Prescott, associate director of planning, operations and topic selection, answers questions on NICE’s recent plans for a ‘fast-track’ appraisal process. NICE has recently announced plans for ‘fast-track’ appraisal process; what was the original reasoning behind introducing another method of speeding up drug approval? Because we and NHS England believe it will enable patients to benefit from faster access to the most cost-effective treatments. It will also enable us to work more closely with NHS England to help manage the financial challenges being faced by the NHS and safeguard long term financial sustainability. The pace and scale of innovation in the NHS require NICE and NHS England to work together to ensure patients are benefiting from faster access to the most cost effective treatments. 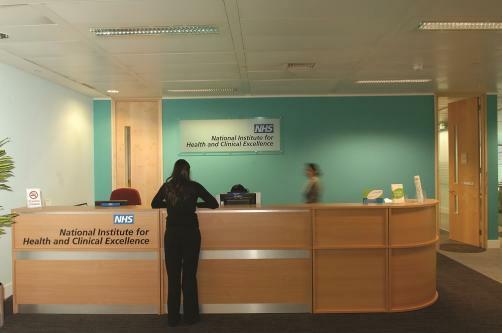 NICE and NHS England feel that there is an opportunity to accelerate the appraisal and adoption of the most cost-effective technologies so they can be expedited through NICE, routinely commissioned faster by the NHS and, as a result, made available to patients earlier. budgets, and by using national bargaining power to get best prices for high-cost drugs’. The independent Accelerated Access Review has also identified the general issue of affordability, as well as emphasising the importance of developing a collaborative framework through which transformative technologies can be moved quickly through development, evaluation and adoption. Can you talk us through the ‘fast-track’ process and how it will impact the regulatory process in the UK? What does this mean for pharma manufacturers? Under the proposals companies would be invited to indicate that they would like their product to follow a fast track appraisal. Once referred and when an evidence submission is received, entry into the fast track process would be considered by NICE following an analysis of the company’s submission, supported by an external review. A second appraisal committee meeting (because failure to demonstrate clinical and cost effectiveness at the committee meeting would mean that the technology would be re-routed through the standard appraisal process). Consultation on draft recommendations (because NICE does not normally consult on positive draft recommendations). Attendance of clinical experts, patient experts, commissioning experts, the evidence review group (ERG) and the company at the appraisal committee meeting (because the basis of the fast track process is built on a clear and convincing case for the clinical and cost effectiveness of the technology). Normally, the elapsed time from the invitation to make an evidence submission in the fast track process to the publication of final guidance would be expected to be 32 weeks. The standard process takes 43 weeks. How does this process compare to other fast track approval processes like those presented by the EMA and FDA? The fast track approval processes used by EMA and FDA are for regulatory approval and aim to provide a faster route to license for new drugs or significant license extension. The NICE fast track process relates only to the health technology assessment of the product. Where appropriate notification can be provided, NICE will endeavour to align with timelines for the EMA fast track approval process, in order to ensure that NICE guidance (draft and final) is published as close as possible to receipt of the license and subsequent commercial launch of the product. When do you plan for the ‘fast-track’ appraisal process to come into action? We will introduce the fast track process option routinely for technology appraisals referred from 1 April 2017. For technology appraisal topics referred before 1 April 2017, and when the company evidence submission deadline is set later than 1 April 2017, companies can approach NICE to discuss access to the fast track process. Who do you think stands to benefit the most from the introduction of the ‘fast-track’ appraisal process? The proposals will benefit patients, who will have faster access to the most cost effective treatments, and companies because their products will move through the process more quickly and be routinely commissioned faster by the NHS. NICE has received criticism that the QALY assessment system may not be appropriate for the review of certain drugs, particularly rare diseases and cancer. How would you respond to this? The use of QALYs provides for a very clear separation between drugs for ultra-rare disease in that the QALYs gained are significantly greater per patient over their lifetime than seen in other technology appraisals. Using outcomes reported in trials for those drugs is unlikely to provide for that separation. All companies to date have provided submissions using QALYs. The reformed Cancer Drug Fund recently approved their first drugs; what was the thinking behind the reformation and do you think it has been successful? How would you respond to critics of the reformation? The new arrangements for the Cancer Drugs Fund were designed to allow NICE to make decisions on cancer drugs faster than ever before – for the first time NICE is able to issue draft guidance on new cancer drugs before they have received marketing approval in the UK with any drug receiving a positive recommendation being funded from the point of licence. The new arrangements were also designed to reduce uncertainty and make it fairer for companies. So, drugs that appear promising, but for which the evidence is not strong enough for routine use, will be given a given a recommendation for use within the CDF by NICE and made available to NHS patients paid for by the CDF. The drug will remain available within the CDF for up to 2 years (normally) while the more evidence is gathered to show that the drug works and is fairly priced. In this way, a flow of new cancer drugs can be made available to NHS patients while costs are controlled So far companies have engaged positively with our CDF reconsideration process and demonstrated that their drugs can be cost effective, which has resulted in positive recommendations (draft or final) for most of the drugs we’ve so far re-appraised through this process . These decisions, when implemented, free up funding in the CDF which can be spent on other new and innovative cancer treatments. Where does NICE stand on speeding up their route to market in this area given that there are significant savings to be made? NICE has already recommended a number of biosimilars, for example the infliximab biosimilars were recommended in TA375 for severe rheumatoid arthritis and in TA329 for ulcerative colitis. How is the field of drug regulation developing in the UK in 2016 and into 2017? What does NICE have planned with this in mind? NICE are actively following the developments in this field, and are working with colleagues in regulatory bodies to inform and advise on their proposed developments and both the opportunities and consequences that this might have for Health Technology Assessment.